On the third Wednesday of each month a group of professionals meets at the Carolina Brewery in Pittsboro for a laid back morning of networking. The event is Wake-Up Wednesday. (Yes, breakfast at a brewery!) I am the first to tell everyone, I hate networking. Why do I love Wake-Up Wednesday? It’s not your typical stand around and uncomfortably force your business card on people. Instead, everyone grabs breakfast and finds a seat, then we each get 30-45 seconds to tell the room what we do and what kind of clients/projects we’re looking for. After everyone gets a time to speak, door prizes are passed around and then a featured speaker gets to talk about their work and how they arrived at where they are in their field. I’ve been going to Wake-Up Wednesday for two years now. This Wednesday, February 17th is my first time being the featured speaker. 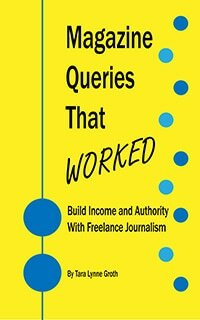 I’ll chat about search engine optimization (SEO) and freelance journalism. Although I can go on for hours and hours (Seriously, have you taken one of my classes? ), I’ll spend a few minutes explaining misconceptions about optimization and mistakes site owners can avoid. With the rest of my time I’ll chat about pitching magazine editors, collecting payments, and how to make writing sustainable as one’s sole source of income. If you’re in the Triangle-area, feel free to stop by this Wednesday morning. Admission is $5 and 100% of the money goes to Carolina Brewery to cover the cost of breakfast. Cash or check okay. Doors open 8AM, networking at 8:30AM. If you miss that, a more traditional network-style after hours event is the following Tuesday night on February 23rd. I’m one of the sponsors for this event and it is held at the Pittsboro Roadhouse. Admission is $5 and includes DELISH food.